Software repairs are £55.00 inc vat. 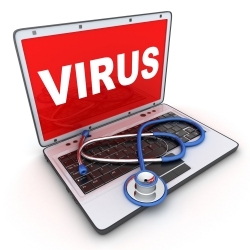 This includes virus removal, repair of corrupted operating systems, reinstalling software etc. Most PCs & Laptops require the cooling system to be cleaned....this is done as part of the repair. Our standard charge for replacing any DC Socket is £68.00 - This job involves a complete strip down of the laptop to bare parts, the old socket being removed and a new socket being soldered to the board then tested. Data is invaluable and irreplaceable and unfortunately sometimes damaged, lost or misplaced. Data recovery is included in our standard service charge. All our PCs are individually built to specification to meet your needs and requirements. We have over the years built up an extensive knowledge of all the key components that make a great desktop PC with the best value and performance available for money. This is also shown in our choice of stocked products. We are able to provide on site services to home or business through Fix PCs. You can read more about Fix PCs on their website here.